Kimberly D. Hendren is the founder and CEO of CC Holdings, Inc., a woman-owned restaurant group headquartered in Indianapolis, Indiana. Founded in 1992 with a single coffee bar, CC Holdings has expanded its operations to encompass 29 restaurant locations throughout the Indianapolis, Cincinnati, and Louisville markets. Its brands include Copper Moon World Cafés, Coffee Zon Cafés, Nature’s Table Cafés, Au Bon Pain Cafés and Granite City Food & Brewery. CC Holdings is a certified DBE/WBE in the City of Indianapolis and the State of Indiana. Kim’s 25-plus years of retail business development and management experience includes work as a senior team member for Plasa Dairy, S.A. de C.V. in Mexico. This vertically integrated company was a startup in the late 1980s as a result of the United States Dairy buyout program. Responsible for retail growth, development and operations, Kim expanded the company’s presence to include 62 retail outlets spanning from the U.S. border city of Ciudad Acuna, Mexico, to Monterrey and Chihuahua within the span of five years. At the time of its sale to a Coca-Cola subsidiary, the company consisted of a 2,000 acre farm, a 30,000 square foot manufacturing plant, 62 retail outlets, and more than 800 employees. 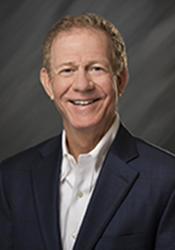 Kim is also the majority owner and CEO of University Properties, LLC, which owns and operates more than 400 student housing units surrounding Indiana University in Bloomington, Indiana. 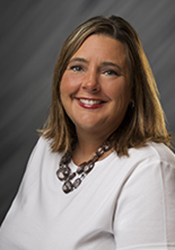 Kim is an active member of the Indianapolis Chapter of the National Association of Women Business Owners (NAWBO) and the Women’s President Organization. 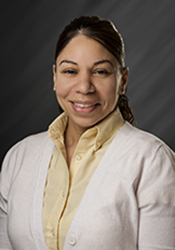 She currently serves as a board member for Cancer Support Community of Central Indiana and is an Advisory Board member for The Chef’s Academy at Harrison College. Kim was a panelist in the 2013 Trailblazers panel for NAWBO-Indianapolis—a panel discussion with successful women business owners and community leaders. In both 2006, 2010 and 2017, Kim was nominated for the NAWBO-Indianapolis Woman Business Owner of the Year Award and, in 2009, was recognized with a nomination for the Starkey Entrepreneurial Women Award. She was selected by the Indianapolis Business Journal in 2003 as a “Forty under 40” awardee, which recognizes individuals in the local community who have made significant achievements in their area of business. In 2011 and in 2015, CC Holdings was nominated for “Indiana Companies to Watch,” a designation by the Indiana Economic Development Corporation recognizing Indiana’s fast-growth, privately held businesses. 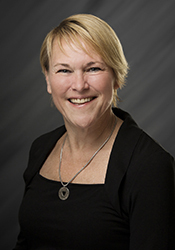 Kim is a past member of the Entrepreneurs Organization (EO), an international organization for business development, and a prior board member for Indiana University’s National Center for Excellence in Women’s Health. Kim is a graduate of Indiana University. Andy Soursos joined CC Holdings in August 2013 as Chief Operating Officer. In this role, his primary responsibility is to protect the CC Holdings’ brand through quality operations, franchise compliance, and the financial health of the company and the franchise-operated locations. 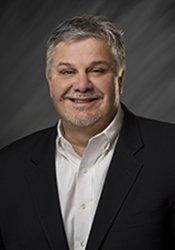 With his career having been primarily with the Au Bon Pain franchise, Andy started with ABP in 1988 and spent ten years as an Area Director managing 15 cafes in 3 states: Illinois, Minnesota and Ohio. Promoted in 1998 to Regional Vice President, he had more than 50 cafes in the Chicago, Minneapolis, Ohio and Pittsburgh markets under his direct management. In 2005, Au Bon Pain launched a campaign for a national franchising program and Andy moved to the franchise side of the company. As the Vice President of Franchising, he directed over 100 points of business in the Domestic community. In this role, Andy implemented Quality Service Control (QSC) audits on all Franchise operations, implemented quarterly marketing webinars, and introduced a structured business planning session with the Franchisees. Prior to Au Bon Pain, Andy worked as a multi-unit restaurant manager and also gained work experience at an accounting firm. Andy has served on his church’s board of directors, and he coached girl’s high school basketball for more than 15 years. He earned his B.A. in Business (Management) with a minor in Accounting from Northeastern Illinois University in 1983. Andy resides with his family in Schaumburg, Illinois. 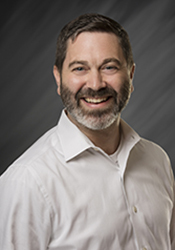 Paul has 20+ years of experience in Information Technology (IT) Department Management, Project Management, Software Implementations and Pre-Sales Support in Retail, Quick-Service Restaurant and Supply Chain Applications. A very dedicated, self-motivated, professional…Mr. Inferrera is team oriented with highly-developed technical skills. He is called upon for his ability to manage highly complex projects with time/cost sensitivity for deliverables. 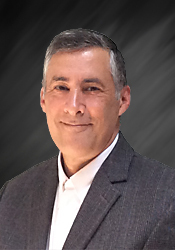 Jon has worked in multiple capacities with CC Holdings since the company’s inception in 1992. Taking on new challenges through the years to address various business needs as they arose, Jon has assisted in CC Holdings’ growth from a single location into multiple brands, locations and states. As Chief Development Officer, he is responsible for expanding the footprint of CC Holdings and its brands throughout the Midwest—leading the search for potential locations and the buildout of new cafés. Jon’s 34-plus years of retail business development and management experience includes work as a senior team member for Plasa Dairy, S.A. de C.V. in Mexico. This vertically-integrated company was a startup in the late 1980s as a result of the United States Dairy buyout program. Responsible for retail growth, Jon helped to expand the company’s presence to include 62 retail outlets from the U.S. border city of Ciudad Acuna, Mexico, to Monterrey and Chihuahua within the span of five years. Additionally, he worked as sales manager for two local distributors in the building industry during the 1990s. Jon is an active board member in EO (Entrepreneur’s Organization), the YMCA, and Indy Runners. He spends time climbing mountains with his son and running ultra marathons. Jon is a graduate of Indiana University in Bloomington, Indiana. Brad joined CC Holdings in 2007 after serving as Area Manager for a local pizza chain. As the company’s Director of Operations, Brad is involved in all facets of the day-to-day operations at CC Holdings. Brad’s systems’ experience, financial acumen, and industry knowledge continue to improve and streamline operations for the company. With a penchant for mentoring and coaching individuals within the organization, he has positively impacted their personal development and growth and has been recognized for both his leadership and financial excellence. Brad is a proven operator with the experience necessary to help lead CC Holdings to the next level in food retailing. Brad has a BS from Indiana University. 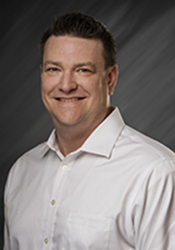 Brett started with CC Holdings in June of 2011 and serves as the company’s area director for the Indianapolis International Airport. 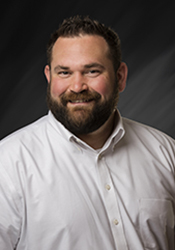 Previously a General Manager at a local restaurant establishment in the Indianapolis area, Brett enjoys working within the hospitality industry. At CC Holdings, Brett is involved in every food concept the company operates inside the airport. He works carefully with staff to create a positive experience for the almost 8 million passengers that travel in and out of Indianapolis. His focus on team-building and solid, practical service and operations concepts consistently improve the success of the company. Cory is CC Holdings area director responsible for stores in Cincinnati, Ohio, and Louisville, Kentucky. He joined the company after a 20-year relationship with Penn Station East Coast Subs, a franchisor of 300+ east coast-style sub sandwich restaurants in 14 states. There, he developed training programs, conducted training sessions for new franchisees and GM’s, produced video promotions and evaluated store performances. Having begun her career path as a teenager in New York, Elaine moved to Indiana where she’s been a resident for the last 11 years. With the opportunity to contribute at CC Holdings, she has taken advantage of the opportunity to develop and grow as a manager. Elaine now serves as an Area Director for Indianapolis. Focused on the continued growth of her district, she works to build strong relationships and to provide ongoing mentoring and training for her team. As a married mother of four boys, Elaine is very committed to helping her sons become successful, productive citizens in life. She looks forward to the ongoing challenges at CCHoldings, as well as eventual retirement from the company in the very distant future. Carrie joined CC Holdings in 2006 as Accountant and now serves as the company’s Assistant Controller. Her responsibilities include all corporate and financial operations, including accounting, financial planning, analysis, and risk management, as well as IT and purchasing. With financial expertise in small business financing, Carrie previously gained experience in financial reporting, tax preparation, budgeting, annual reporting, and financial analysis while an accountant at a competitive restaurant company. Her prior experience was in public accounting. Carrie graduated from Indiana University with a BS in 1996.